Residential Painter, Charlotte, NC | Pride Painting, Inc.
Let us be your residential painter once, and we’re confident you’ll use us for all your painting needs in the future. 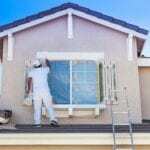 There are many reasons why contacting a residential painter for your painting needs is a better option than doing the work yourself. Whether your reason is a lack of time, interest, or expertise or you don’t want to invest in the supplies and equipment, you will find that contacting us at Pride Painting, Inc. is a wise decision. We have served the Charlotte, North Carolina area since 1996, but our experience as residential painters extends back more than 30 years. We take great pride in what we do! We are equipped to handle any size and scope of project, from single room painting to complex exterior painting projects. We use only the best-quality materials and proven techniques, so you won’t just like the end result, but also how well it lasts. We are so confident in our workmanship that we back it with a solid 3-year written guarantee. We never look at a customer as a once-and-done experience. We forge lasting relationships based on trust and respect. We want to be your residential painter of choice for life– not just for today. With hard work, attention to detail, and dedication to customer service, we have earned and maintained an A+ rating with the Better Business Bureau. Furthermore, our business has grown from the referrals of our satisfied customers, and we’d love to add you to the list. Contact us today if you need a residential painter you can trust for your interior and exterior painting and deck staining projects.